See the Big Five on this 14 days tour of the parks from Nairobi. 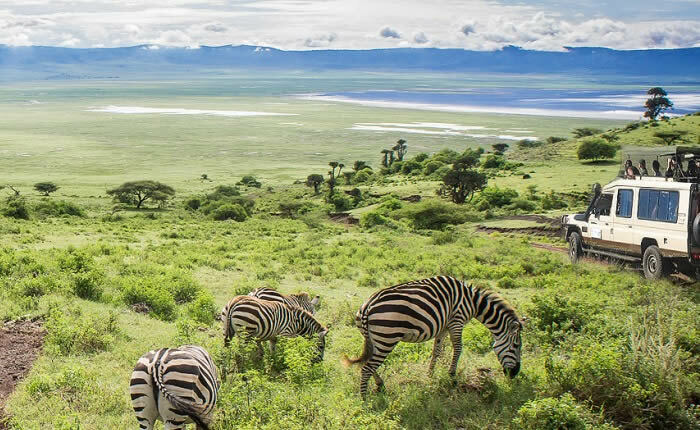 The tour will take you on a loop to Maasai Mara, Lake Nakuru and will cross over to Tanzania where a jeep will be awaiting you to take you around the 5 major parks of Arusha, Serengeti, Ngorongoro, Tarangire and Lake Manyara. Arrive at Nairobi Airport and start your tour with a transfer to your Nairobi hotel. Pickup from your hotel at 8:30am to drive to Masai Mara game reserve. Accommodation Lenchada Tourist Camp or similar. After an early morning breakfast, spend the full day viewing game and exploring this spectacular park with a picnic lunch served in the park at the Mara river border of Kenya and Tanzania. Return to the camp for dinner and an overnight stay. Enjoy a pre-breakfast game drive, then return to the campsite for a late breakfast. Leave your campsite and proceed to Lake Nakuru, arriving in the late afternoon. Dinner and an overnight stay in a Nakuru Lodge. 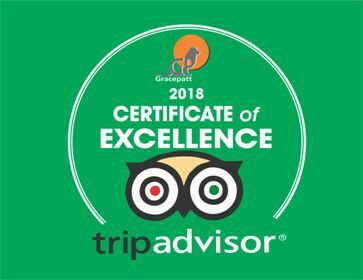 After an early morning breakfast, proceed for a game drive in Lake Nakuru National Park, Leave Nakuru after lunch for Nairobi Accommodation Hotel Delta Nairobi on bed and breakfast. Board a shuttle from Nairobi or the city center at 7am and proceed to Arusha, arriving at 1:00pm. Dinner and an overnight stay at Arusha Hotel or bed and breakfast. Pickup at 9:00am from your Hotel in Arusha and depart for Arusha National Park. Enjoy a picnic lunch and game drive in Arusha Park. Your accommodation will be at Colobus Campsite or similar. After breakfast, depart for Tarangire National Park. Enjoy a picnic lunch and game drive in Tarangire Park. Dinner and an overnight stay at Zion Campsite or similar. After breakfast depart for Serengeti National Park. Your accommodation will be at Seronera Campsite or similar. After breakfast, spend the full day in Serengeti National Park. Your accommodation will be at Seronera Campsite or similar. Enjoy an early morning game drive in Serengeti National Park before lunch. Depart for Ngorongoro Crater rim. Your accommodation will be at Simba Campsite or similar. In the early morning, descend to the Crater floor for a game drive. Enjoy lunch at the hippo pool picnic site. Ascend to the rim and depart for Lake Manyara. Dinner and an overnight stay at Jambo Campsite or similar. After breakfast, go on a game drive in Lake Manyara National Park. Enjoy a picnic lunch and mid-afternoon departure for Arusha. After breakfast, board a shuttle from Arusha at 7:00am and proceed to Nairobi, arriving at 1pm or transfer to Kilimanjaro International airport.